"Judith is personable, professional and very experienced. Her talk was perfect for our event - very clear and concise, delivered in an engaging and thought provoking way. She received huge praise from our audience and was the top rated slot of the day." She involves the audience in a fun way, so that people engage fully with the subject matter and gather ideas to take back into the workplace. Her understanding of what it takes to be successful provides real insight into the process of talent development throughout an organisation and is highly relevant for the management of high flyers as well as those who deliver 'business as usual'. Her ability to simplify the complex means that the audience can immediately put their learning into action. Judith is an inspiring and engaging speaker, who also uses her facilitation skills to focus people on their own situations and make links to others in the audience. Illustrating her points with stories of real managers and leaders, Judith invites the audience to create an exciting and stimulating working environment in their own sphere of influence, so that talented people can thrive and business is highly successful. Feedback shows that people leave energised and excited about the experience, keen to put their learning into action. "Many thanks for a wonderful lecture on Tuesday. You simply filled the room with warm and positive energy." 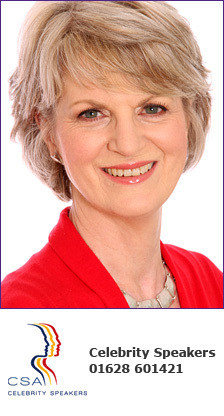 "Judith delivered a truly inspiring presentation at our National HR Conference that took place in May 2011. The talk was really engaging and we received fantastic feedback from our delegates who really enjoyed the session and learnt a lot from it." "Judith was a fabulous speaker - she articulated ideas in a really helpful and relevant way." "I wanted to say an enormous thank you for opening our conference on Monday and for just being completely spot-on. Everyone, without exception, was enthused and motivated by your evident passion for the subject." "I have waited for years to hear an inspirational woman speaker and finally today I did."